Here you can find your travel groups, visitors, overnight guests and boarders. 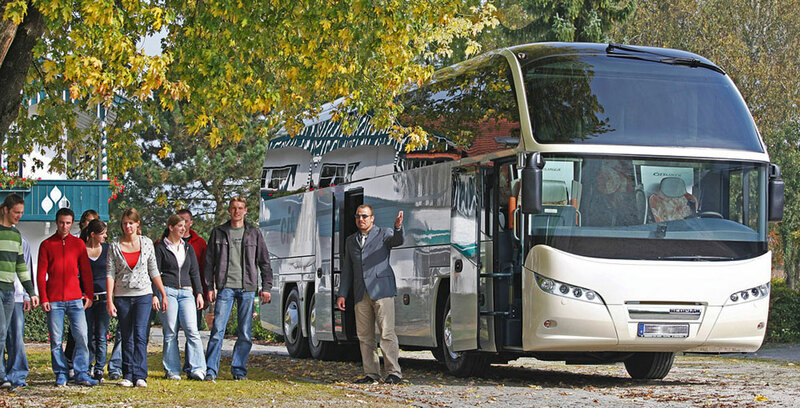 For over 40 years, we’ve offered a wide selection of clubs and schools as well as selected bus companies from Germany and Austria with up to 77 supplier companies to travel activities, destinations and much more. Further individual selection options according to postal code area and radius. We offer you attractive special packages! Our addresses of bus companies have different selection characteristics, such as the fleet of the company, travel services or destinations by country--more than 6,000 addresses. Benefit from individual and customized address selection. as LIGHT license plus all selectable information on fleet, travel activities and countries. Your advantage: independent, extensive selection for your individual offers and mailings. Data always available. Prices are subject to change without notice and do not include €38.00 database flat rate plus tax. Salutation * - Please select * -Mr.Mrs. I accept the data protection. To directly and effectively attract attention to your company. Simply buy the right addresses and advertise easily—because only those who know you can become your next customer! Save time and money. The maintenance and generation of suitable and accurate addresses is time- and cost-intensive—we do it all professionally for you! Over 40 years of industry experience speak for us and our quality. With us, you can systematize your new customer acquisition. Whether a one-time mailing and telephone campaign or unlimited use for a year, we can meet your needs and save you money!